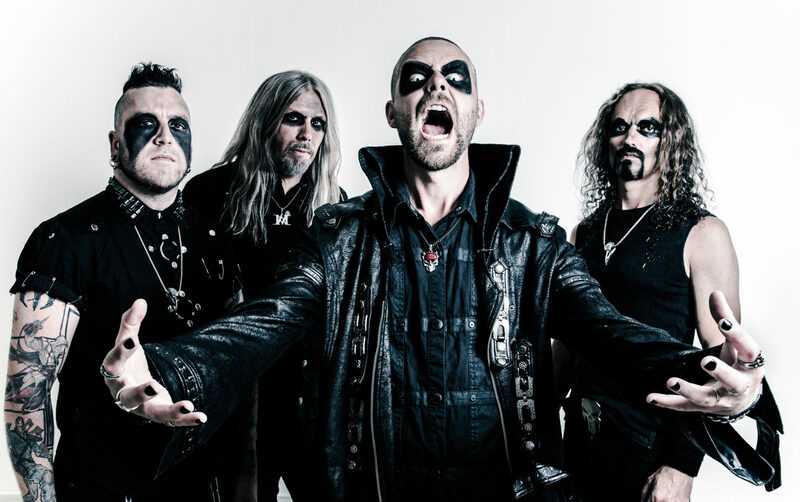 In late 2015, Sweden’s Manimal unleashed its long-awaited sophomore album, Trapped in the Shadows. It came out so late in the year, it missed out on the attentions of year-end “Best of” lists, but it was easily among the top traditional/power metal albums of the year. This fall, the Gothenburg quartet returns with its third studio effort, the dynamic and devilish, Purgatorio. Band founders, vocalist Samuel Nyman and guitarist Henrik Stenroos, continue to evolve Manimal’s sound without straying too far from its signature style. The rhythm section of bassist Kenny Boufadene and drummer André Holmqvist (Ice Age) return for their second album as well each adding their own unique magic. Holmqvist worked with Nyman on the album’s lyrical content while Boufadene worked on mixing as well as the band’s videos for the record. Purgatorio picks up where Trapped in the Shadows left off. The album’s mammoth opening track, “Black Plague” will immediately give listeners chills with its electrifying riffing and beastly howls. There’s definitely a nod to Judas Priest here. The album’s title track finds Holmqvist at his pummeling best, and Nyman showcases his wailing Primal Fear vocal attack. There are some keyboards added for texture, and there is a real Kamelot sensibility about it. This track perhaps ties Purgatorio the closest to its predecessor, Shadows. With “Manimalized,” the band get into more straight-forward bone-crushing metal. Stenroos has become something of unrecognized riff-master, and he delivers with force on this one. His solo is spectacular as well. Muscular fretwork, big rhythms, and even gang chants. Boufadene’s bass rumbles like a caged barbarian. “Spreading the Dread” opens with a spiraling riff, before moving into a mid-tempo groover with a dramatic flair. Meanwhile, “Traitor” rekindles Manimal‘s self-admitted Queensryche influence. Following on its heels is the beefy bruiser, “Behind Enemy Lines.” There is something of an industrial vibe to the intro of “Denial.” Rammstein anyone? The album closes out with the heaviest track on the album, “Edge of Darkness,” and the eerie and haunting “The Fear Within.” Both solid and impressive tracks. Nyman is particularly emotive on the latter song. Throughout Purgatorio, Nyman takes us through the paces with his vocal pyrotechnics. He is arguably centerpiece of Manimal‘s signature sound. Stenroos has served up another platter of memorable solos and hooky riffs, and the band has packed this album with plenty of catchy melodies that beg for repeated listening. 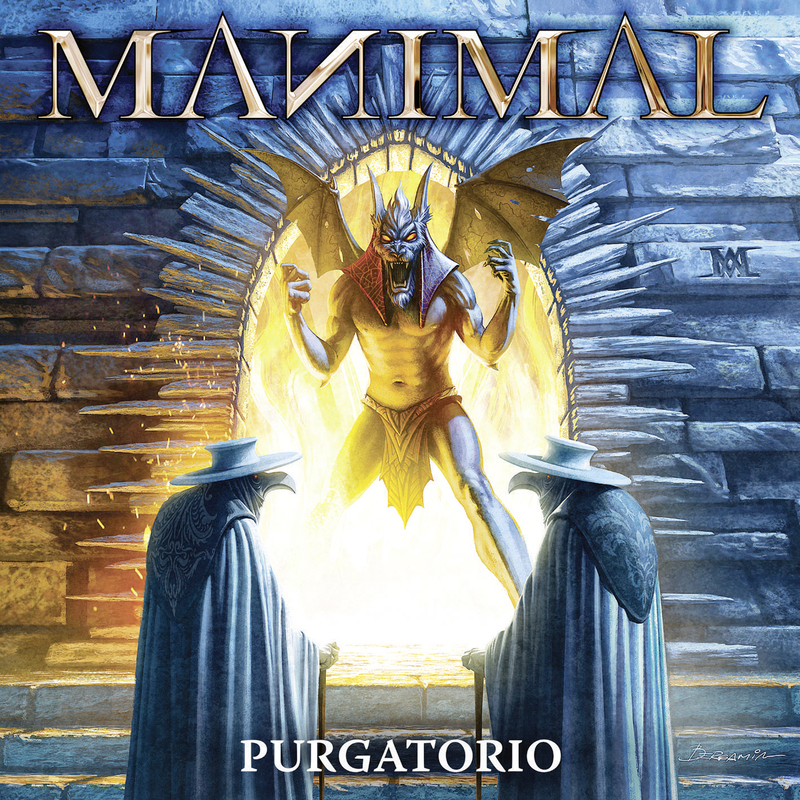 From 2009’s debut The Darkest Room to Trapped in the Shadows, to Purgatorio, Manimal has continued its evolution of weighty and exceptional modern power metal. They have incorporated their various influences into a sound that is at once familiar yet decidedly recognizable as their own. Be sure to catch Manimal at ProgPower USA 2018 this year.